Ray Hill contacted The Pirate Radio Hall of Fame. He wrote: “Of possible interest to your excellent website are two letters I have from Keith Skues to a lady in Aldeburgh, Suffolk. One is on Radio Caroline headed paper, written ‘at sea’ on November 28th 1965 and contains a signed photo of Keith. 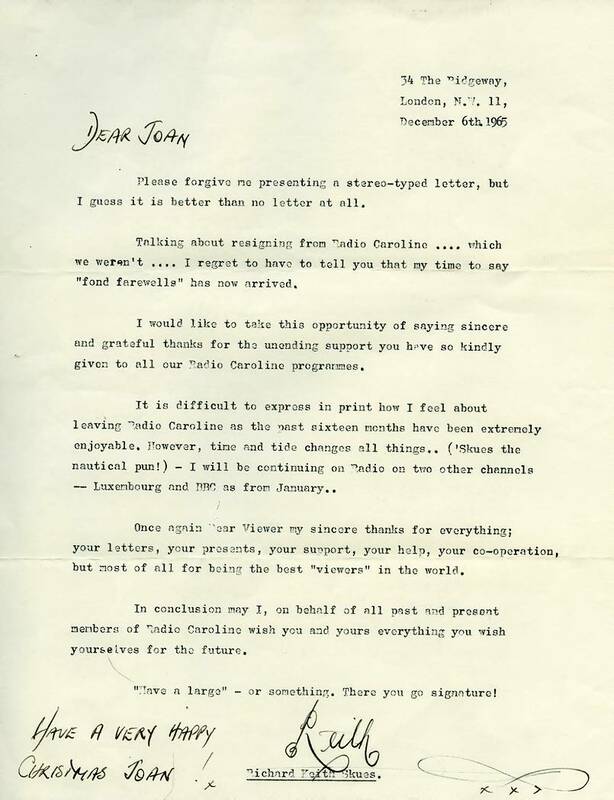 The other is from London on December 6th 1965, indicating his imminent resignation from Caroline.” They were sent to a Radio Caroline South listener called Joan. Our grateful thanks to Ray for passing them on to us. 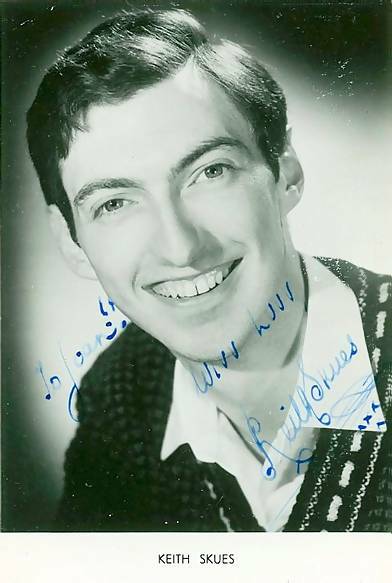 A signed photo of Keith Skues. A personal letter to Joan, written by Keith while on the mv Mi Amigo. 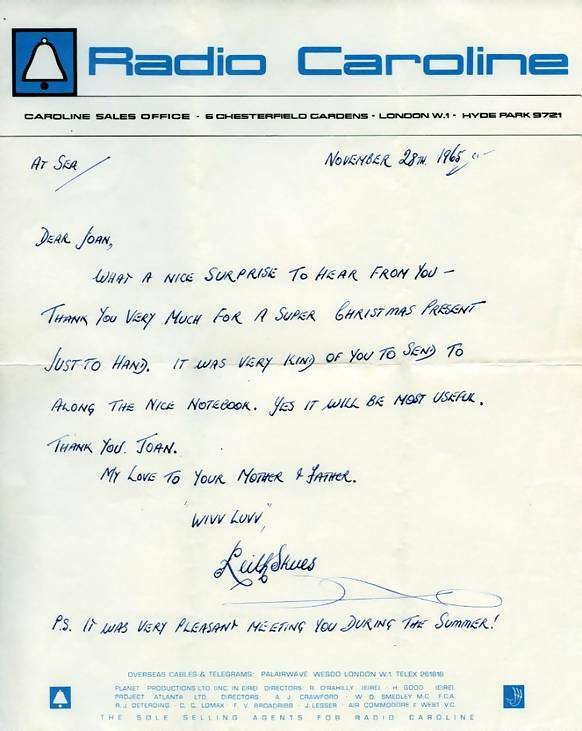 A letter from Keith to his faithful listeners telling them that his time with Radio Caroline was coming to an end. Unusually he has included his then home address.